Sensory play is important for young children. Their developing brains are observing the world around them absorbing the knowledge. To help them in sense development it is important to expose them to many textures, scents and tastes. 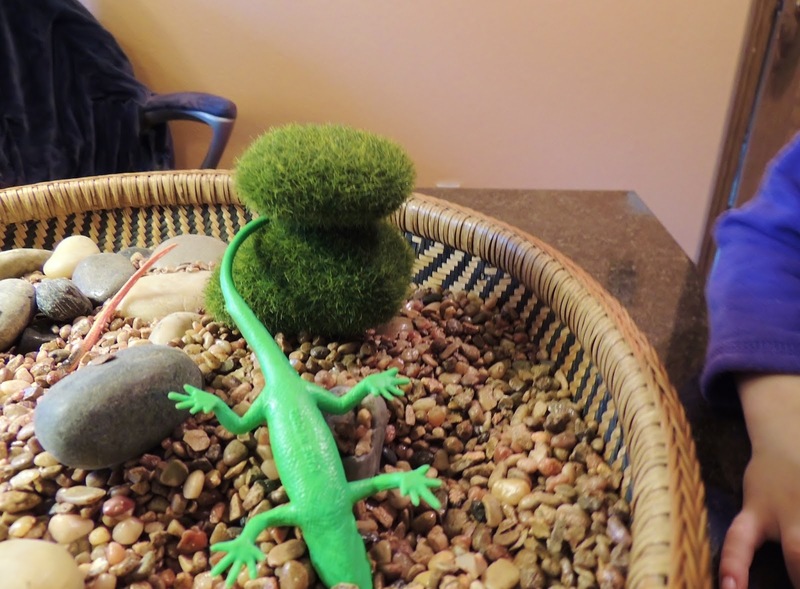 The fake moss covered rocks were “ tickily” and “fuzzy”. Encourage the children to describe what they feel. This will help them build their vocabulary. Sensory play does not have to be confined to a table or bin, you can also create sensory bottles for on the go. Bottles filled with brightly colored objects are a great clean sensory activity for in the car allowing children to explore their senses where ever they go.